247 Pacific St Pomona CA 91768. 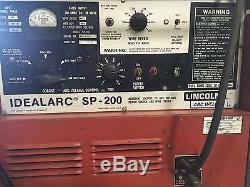 200 Amp, LINCOLN SP-200, Profax MIG Gun, Rollng Cart Our stock number: 4178. 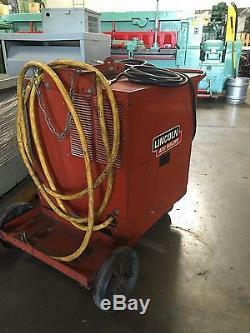 50/46 Equipped With: Profax MIG Gun Current Selector Variable Wire Speed Voltage Control Rolling Cart. 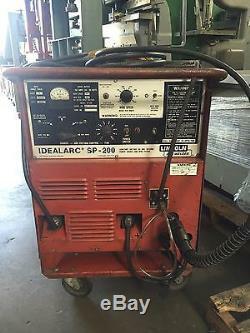 The item "200 Amp, LINCOLN SP-200, Profax MIG Gun, Rollng Cart Our stock number 4178" is in sale since Thursday, September 24, 2015. This item is in the category "Business & Industrial\Manufacturing & Metalworking\Welding & Soldering\Welding\Welders, Cutters & Torches\TIG Welders". 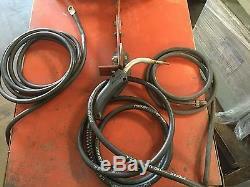 The seller is "wheelermchy" and is located in Pomona, California. This item can be shipped to United States.